TubeNet • View topic - Finding a teacher if you’re REALLY OLD. Many (many) years ago I was a serious semi pro low clarinet specialist with repertoire including Lincolnshire Posy, the Mahler Symphonies, and a premier performance of a very sophisticated Rochberg piece. I’m a strong reader and confident player. After a year of teaching general music in elementary school, I won a fellowship in a therapy field, and shelved my bass clarinet “for my retirement”. By the time I retired, I had arthritis in fingers on both hands, but coincidentally began to get enthused about euphonium/tuba. I feel as though I’m making good progress with euphonium, and I know most of the good euphonium wind band literature having sat in front of them for most of my playing years. I want to work with a capable low winds specialist on embouchure and technique, and after a couple negative experiences, I’m getting discouraged with searching. I LOOK like a little old lady (which I am) but I am also a disciplined, serious musician with a strong desire to play as well as I possibly can. Can anyone suggest how I can move forward? I’m especially wanting to avoid bad habits I could be making while attempting to teach myself. Re: Finding a teacher if you’re REALLY OLD. Contact your local orchestra pro or university instructor. Tell them exactly what you told us here. Let them help you find someone if they are not able to help you directly. It is hard for us to make any suggestions since you do not list your location, by the way. the elephant wrote: Contact your local orchestra pro or university instructor. Tell them exactly what you told us here. Let them help you find someone if they are not able to help you directly. ^^This. While I was working towards my DMA at Iowa a very nice and newly-retired gentleman contacted my teacher and inquired about euphonium lessons. He was passed along to me. Though completely new to the instrument, he was very dedicated and a hard worker; he was one of the best students I ever had the privilege of working with, and he's still playing 15-ish years later, though he has switched to tuba. 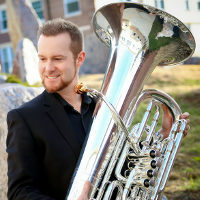 He "graduated" from the New Horizons Band and now plays full-time in a British-Style Brass Band and gigs regularly in a brass quintet.